Dylan was about 2 months old when we discovered quite how far cloth nappies have come from the terry squares our grandparents used to boil. Reusable nappies these days are easy to use, easy to clean and they looks pretty damn cute too! We have now been using cloth nappies for over five years and with two under two, I still have two little fluffy bums in this house. I know many people won't even consider reusable nappies, but I wanted to write about why we love them, so here are our top 10 reasons for using them. 1. Disposable nappies take over 500 years to decompose, which means that had Henry VIII wore them, they would still be sitting in landfills now. Cloth nappies last for years and we have some that have been worn by all four children and are still going strong. Their environmental impact is miniscule in comparison to their disposable counterparts. 3. You never have that panic when you have run out. We never have to do a last minute dash to the shops as we always have plenty of nappies, or we can just put on a wash when we are getting low. For last minute people like us who have to run to the shops for milk far too often this is a great benefit. 4. They look pretty cute! I can't wait for the summer - Cora in pretty summer dresses with a cute cloth nappy poking out underneath. 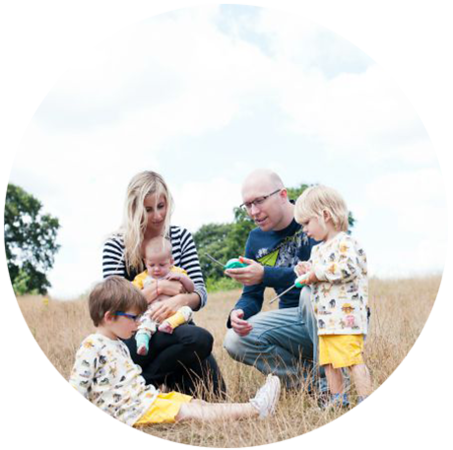 There are so many gorgeous styles - The babies are wearing a print called Kaleidoscope from TotsBots in these pics and it is really stunning. Our whole collection is colourful and fun. 5. One size fits most which means I can have one stash of nappies and use it on both the children, I just adjust the poppers at the front to get a smaller fit on Cora. If we were using disposable nappies they would both need different sizes. 6. They aren't full of chemicals and I know exactly what is going next to my child's skin. We have all seen those disposable nappy horror stories of children getting burnt - I know my babies have natural breathable fibres next to their little bums, most of ours have a bamboo core which actually keeps them cooler in the summer than a disposable would. 7. I don't have to empty the bins all the time. Dirty nappies get tipped into the toilet and then left in a lidded bucket until they are washed. Disposable nappies fill up the bin so easily (especially with two in them!) so we end up having to empty the bins daily which is just a hassle! 8. Newly mobile babies have a bit of cushioning! 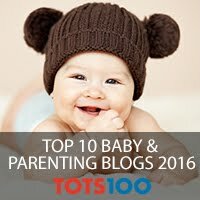 When Finn was learning to walk, I knew that falling over would be softened by his squishy cloth nappy! 9. It doesn't have to be all or nothing and you don't have to make a complete switch. We still use disposables on holiday (and for the week we get home whilst I catch up on washing) and for long days out. 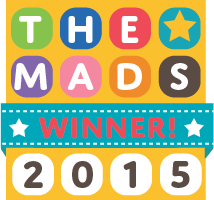 Even swapping one nappy a day to a cloth nappy makes a difference to your environmental impact. 10. They are as easy to use as disposables - gone are the days of having to fold a terry square and pin everything into place, we use all in one nappies which means there are no fiddly parts, you just do them up around the baby exactly as you would a disposable nappy. 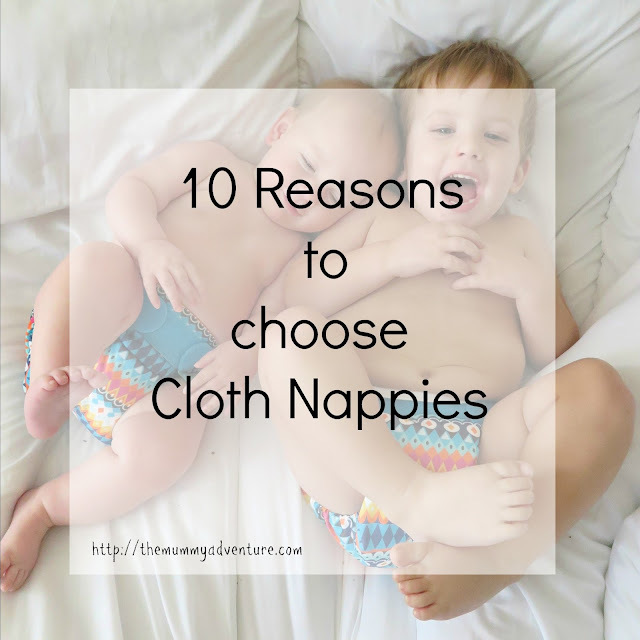 So there you have it, 10 reasons why we use cloth nappies. It didn't take us long to slot them into our routine and after 5.5 years of having at least one child in nappies at all times it has become second nature! Kaleidoscope is my favourite of the new totsbots. I've only been using cloth for the last 7 months. I wish I'd known about modern cloth nappies with my first. These Kaleidoscope Nappies are so cute!